These two townies were parked outside a home in Crested Butte during lunchtime last summer when I snapped the reference photo for this. I like it. In fact, this is probably going to be my study for a larger piece. The photo had dandelions galore, which I left out, due to the small size of this piece. 8 x 10 inches, matted in white to fit an 11 x 14 frame. Thank you for visiting my blog. The constant need to create leads down many winding pathways so I am grateful for these opportunities to both document my painting journey and to sell small works. These smaller pieces are where I can experiment and so, do not have the finesse as do my larger works. They are, however, just as much my voice as any of my more polished pieces. My daily painting challenge is to create a small watercolor painting every day for a year. This is in addition to my larger studio pieces. The larger works are available through Moon Ridge Gallery. The small pieces, through Daily Paintworks. I am a watercolor artist living and working in Crested Butte Colorado. What I love about watercolors, is the movement of paint after it is on the canvas. Letting the colors blend on the canvas is my favorite technique. 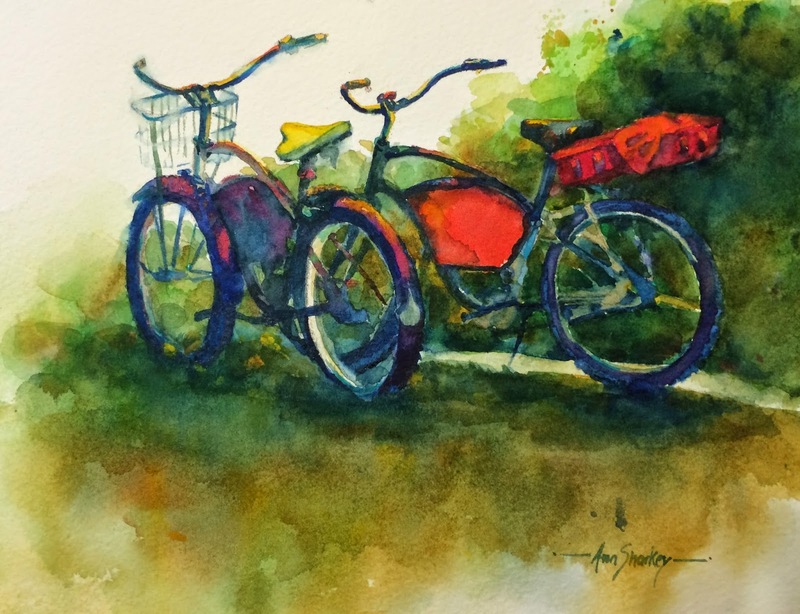 To me, it is the essence of watercolor, the statement the piece makes, that says " This is who I am. I am watercolor."